Sometimes affectionately known as "the world's smallest country," the official name of the Sovereign Military Order of Malta is the Sovereign Military Hospitaller Order of Saint John of Jerusalem of Rhodes and of Malta, or in Italian, the Sovrano Militare Ordine Ospedaliero di San Giovanni di Gerusalemme di Rodi e di Malta. Most commonly its members are known as the Knights of Malta. The Order is a Roman Catholic lay religious order. Its members traditionally are from the nobility, though not necessarily so. Some consider SMOM to be the world's oldest surviving order of chivalry (Guy Stair Sainty. World Orders of Knighthood and Merit. Burkes. 2006.). The Order is headquartered in Rome on sovereign soil, making it the world's smallest sovereign state. It has diplomatic relations with many countries. However, it is not universally accepted as a sovereign state by all nations. The United Kingdom, for example, does not recognize the Order's sovereignty. Some find this ironic, considering that the 79th and 78th Grand Masters of the Order were British. SMOM purports to be the modern continuation of the medieval order of Saint John of Jerusalem, better known to history as the Knights Hospitaller and founded in Jerusalem about 1050. This was stated in the Joint Declaration of SMOM and the Alliance Orders of Saint John in 2004. The original purpose of this order was to provide care for the poor and sick pilgrims to the Holy Land. 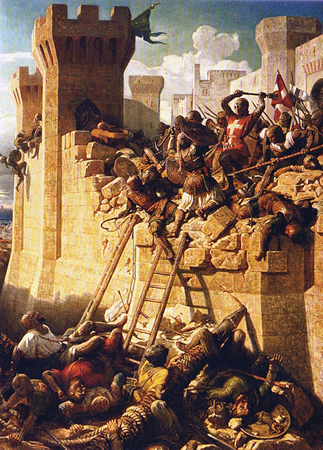 Following the 1099 the conquest of Jerusalem during the First Crusade, the order became military in nature. 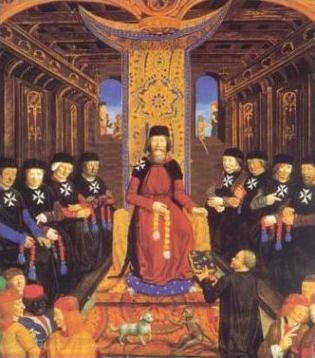 Following the loss of Christian held territories of the Holy Land to Muslims, the order retreated and operated from Rhodes from 13101523. Later the order operated from Malta (15301798), over which it was sovereign. However, there are other claimants to the successorship of the Order of St. John, including an old Russian royal family and the British. The Russian claimants were under the Grand Mastership of a Russian Count resident in New York, USA, Count Bobrinski, and the British claimants became the Venerable Order of Saint John of Jerusalem, chartered by Queen Victoria. SMOM is one of the two orders of chivalry, however, that possess official diplomatic recognition from the Holy See. It also holds permanent observer status at the United Nations. The Order is governed by its Grand Master, who is elected for life. Since 1630, he holds the same rank and precedence of a Cardinal of the Catholic Church. In 1607, the office was given the rank of a Prince of the Holy Roman Empire. These two special honors have been combined to give the unique style of address for the Order of Malta's Grand Master, "His Most Eminent Highness" (Noonan, Jr., James-Charles. The Church Visible: The Ceremonial Life and Protocol of the Roman Catholic Church. Viking. 1996; and HJA Sire. The Knights of Malta. Yale University Press. 1994.). SMOM is further sub-divided around the world into a large number of local priories and associations around the world. Knights of the Order have a complex array of insignia and heraldic privileges. In heraldry, the shield is surrounded with a silver rosary for professed knights, or for others the ribbon of their rank. Members may also display the Maltese Cross behind their shield instead of the ribbon. These Knights of Malta take religious vows of poverty, chastity, and obedience and form essentially a religious order. Until the 1990s, this class of membership was restricted to members of families with proven noble titles. These knights make a promise, rather than a vow, of obedience. This class was also historically restricted to the nobility until the 1990s. No vows are taken. Some proof of nobility is required. No vows are taken. Some proof of nobility is required, but the standard is less stenuous than for the above category. This category of knight need not prove noble lineage. It was once required that officers of the Order of Malta had to be of noble birth, specifically of armigerous families for at least a hundred years. This is because all officers were Knights of Justice or Obedience. Since the 1990s it has been permitted for Knights of Magistral Grace, despite their lack of noble birth, to take the Promise of Obedience and, with the permission of the Sovereign Grand Master and Sovereign Council, may enter the novitiate to become professed Knights of Justice. 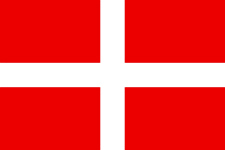 It is generally held that there are, worldwide, over 13,000 knights and dames of Malta. Only a small number of these are professed religious. Membership of the Order of Malta is by invitation only and solicitations are not entertained. Malteser International Medal of Committment "Saint Martin 2007"
awarded in the Silver Class for officers and Bronze Class for other ranks.